Interlinking rivers: is it a utopian idea? 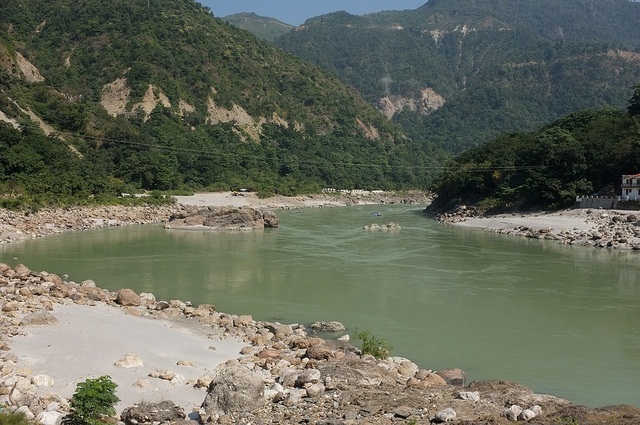 The subject of interlinking India’s rivers disappeared from the public radar after 2004. Currently, the National Water Development Agency (NWDA) hosts only two projects on its website—of these one is in Chhattisgarh and the other in Tamil Nadu. The ambitious plan of interlinking Indian rivers originally envisaged 15 projects during 2002-03 in Maharashtra, followed by six in Bihar and Karnataka, four in Gujarat, three in Jharkhand and two projects in Rajasthan. The announced package of these 30 projects in total under the National Perspectives Plan (NPP) had two major components—the Himalayan Rivers Development (14 projects) and the Peninsular Rivers Development (16 projects). This was done on the basis of numerous water balance studies, toposheet studies of resources and link alignments. All the pre-feasibility studies were completed by 2004 and feasibility studies by 2008, although efforts were made to complete it by 2005. The estimated cost was put at Rs 560,000 crore with an implementation period of 35 years, but later it was revised to a target date of December 31, 2016 (a year from now). This was done without any inter-state agreement or preparing a Detailed Project Report (DPR). According to media reports, the feasibility reports of 20 projects were completed by the NWDA in 2010-2011. However, no revised cost was calculated. Only two projects—the Ken-Betwa and the Par-Tapi-Narmada—were started (Down To Earth 30.09.2005 and Down To Earth 31.0.2011). The Par-Tapi-Narmada Link entailed the submergence of 7, 559 hectares of land area, including 3,572 hectares of forestland, leading to 14,832 “Project Affected People” and more than 9,000 livestock (Down To Earth 30.09.2010). It cost Rs 6,016 crore in 2004-05 with the cost-benefit ratio of 1:1.08. It should be noted that information on the mandatory Environmental Impact Assessment (EIA) and the Social Impact Assessment (SIA) reports are not available in the public domain. There is no evidence that either the EIA or the SIA has been conducted. The Supreme Court had mentioned in 2012 that if the said project cost put high financial burden, it will not favour the project on interlinking of rivers. In the past 10 years, the original project estimated cost of Rs 560, 000 crore must have changed significantly in an upward mode. But no one knows how much it would cost even at the present price index? It will not be out of place to point out that the Government of India has taken up in the National River Action Plan enlarging the original target of cleaning the Ganga with the Ganga Action Plan. Obviously, this has been necessitated because of the pollution load in all the major rivers and from the very urge to clean up the water. In case the interlinking of Indian rivers ever becomes a reality, do we not need to lead distribution of pollution load at a much higher level even in the lesser polluted riverine systems? Considering all aspects of the once abandoned but now rejuvenated project of Interlinking Indian Rivers, many logical questions remain unanswered. On one side it appears to be one of the most ambitious projects in the world and on the other it surely appears utopian.